Transportation company - Wizet Sp. z o.o. 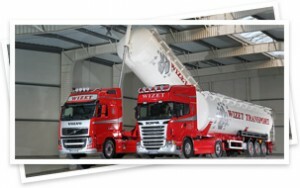 Transportation of loose goods is one of the main services in the commercial offer of the WIZET TRANSPORT Company. We have a long-term experience in domestic and international transportation of such materials as: granulates, sodium carbonate, starch and many other chemical products. 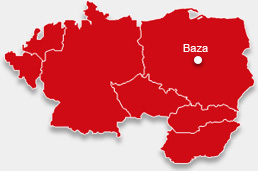 Our vehicles perform services all around Europe. All the vehicles in our fleet are GPS monitored. We own several dozens of new VOLVO and SCANIA vehicles. The vehicles we have allow us to transport loose goods. We offer our services in Germany, Belgium, Holland, the Czech Republic, Slovakia, Hungary, Switzerland, France, Italy, Austria, Sweden, Denmark, Norway and the Baltic States.